The 30 October saw the return of Centerprise International’s annual Defence Technology Event, where interactive IT in the world of defence was showcased by Centerprise’s acclaimed partners and industry experts to a select audience from the Ministry of Defence. The ‘interactive’ theme of the event consisted of live demos, captivating presentations and exclusives from a range of vendors providing the opportunity for professionals in the Ministry of Defence to experience and engage with the very latest and greatest Information Technology offerings. As well a unique networking opportunity, the invite-only audience also witnessed the return of keynote speaker Bruce Wynn (see below) who once again impressed with his insights into cyber security. This year, the renowned cyber specialist explained the ‘business model of the bad guys’ demonstrating the logistics of cyber-attacks, an all too familiar topic. 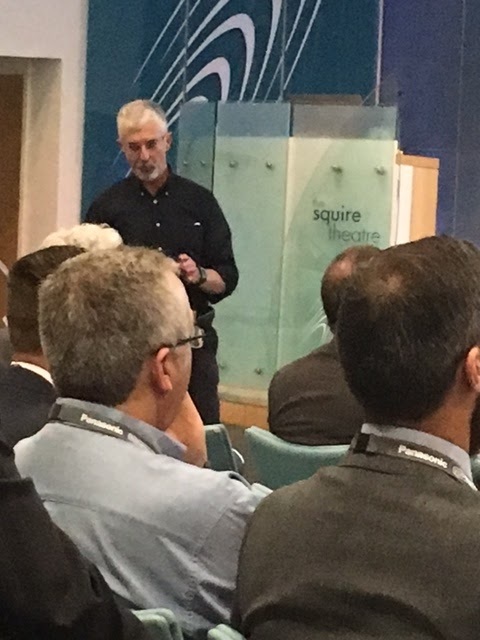 As a Platinum Sponsor, Fujitsu’s James Maynard began the specialist talks with a fascinating presentation on ‘Augmented Reality’ and even provided the audience with exclusive insights into a new solution yet to be launched on the international market. Panasonic followed by demonstrating the evolution of their famous Toughbook® and Touchpad® devices. Panasonic duo Paul Davidson and Oliver Ledgard supplied some first edition units for the audience to ponder, highlighting the advancements in their tech since 1994. Both Dell and Getac concluded the presentations, again demonstrating the benefits their products can bring to the Armed Forces. 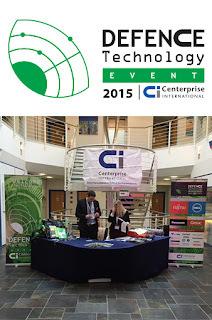 Other Centerprise sponsors were also in attendance showcasing their latest technologies, live demonstrations and case studies in keeping with the Interactive theme stimulating significant delegate interest.